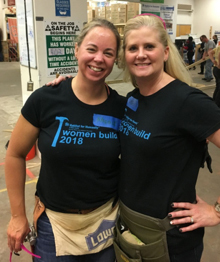 Beth Voltz and Nicole Loeffler spent Saturday, October 27th building walls for a Habitat home at Habitat Wake’s Construction facility. They then helped load the completed walls onto a flatbed truck, then unloaded the walls at the home site and helped raise the walls. 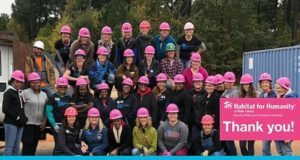 Over 50 women participated in the build day, and over $10,000 was raised to help fund the construction costs of two new, affordable homes through Wake County Habitat for Humanity. 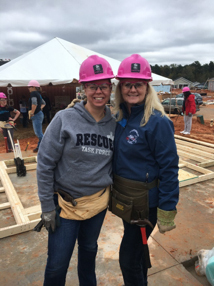 Beth Voltz co-chaired the event along with Habitat Wake Board Member, Amy Watkins. The event brought together a diverse group of women to support families in need of affordable housing in the Wake County Community.